Here is a behind-the-scenes look at a day of Competition Dining. Have you ever loved something so much, you go to sleep to dream about it and wake up the next day so you can realize your dreams? That's what chefs do on a daily basis. 11:00 AM: arrive at the Elm Street Center, unload equipment and check the Southern Foods pantry truck to make an inventory list. 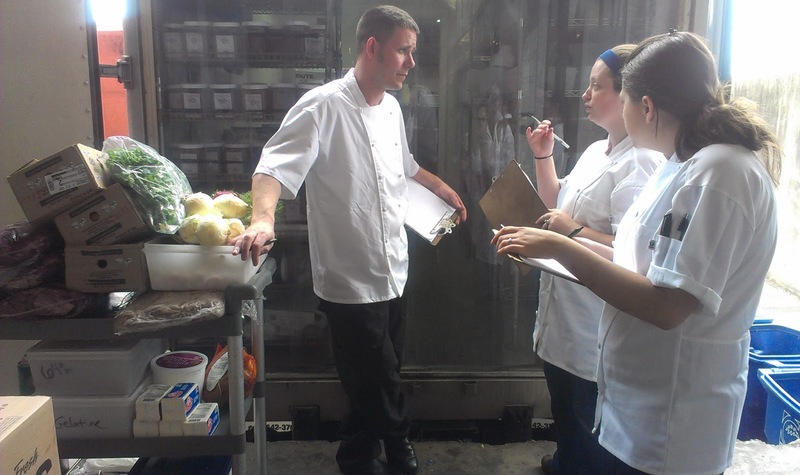 Chef teams will check for freshness and quality of the fruit, vegetables, meat and seafood. Every and anything you could possibly need to produce a high-quality meal will be on the truck. The chefs have limited time for planning (and cooking), so an inventory check helps out in the long-run. Every chef in his or her own restaurant will do this on a daily basis as well. 12:00 PM: Gather in the Empire Room. All cell phones and other electronic devices are gathered and locked away for safekeeping. From that moment on, the only contact the chefs will have with the outside world is the people they encounter in the kitchen and if they are smokers, a quick (escorted) walk to the loading dock. 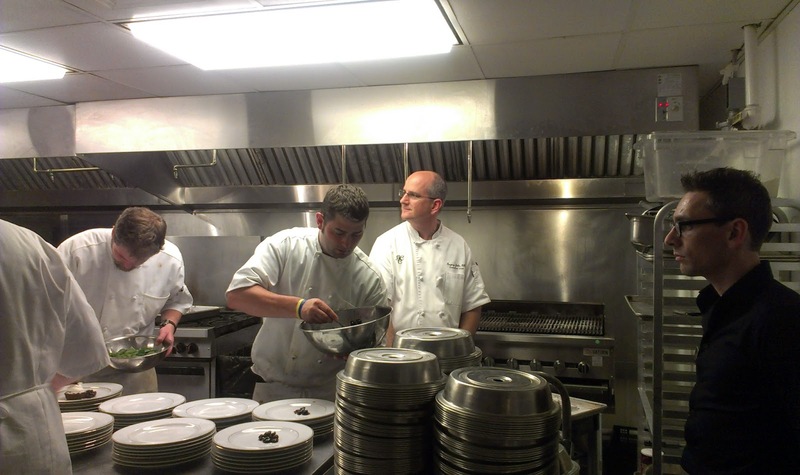 The chefs watch the same video montage that the diners will view 7 hours later. The featured ingredient is revealed to them the same way it is revealed to the dining public. It's quite dramatic, actually. After the "Chef Ref" Laurence Willard explains what is available regarding the secret ingredient, he also explains that final menus are to be turned into him my 3:30 PM and then the teams race off for menu planning and ingredient procuring. 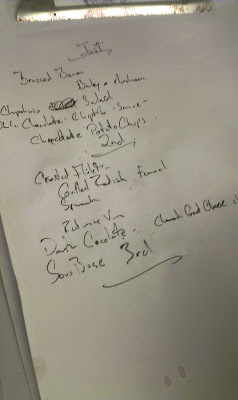 This was just phase one of menu planning. 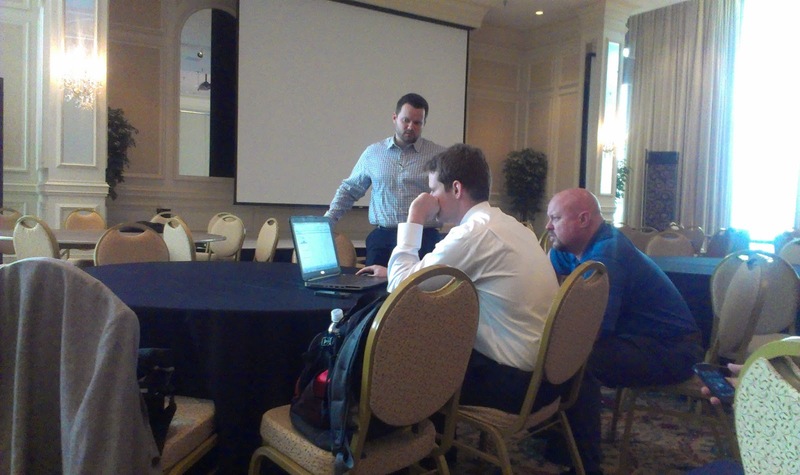 Each team huddled in a different part of the building to plan the secrets of their success. 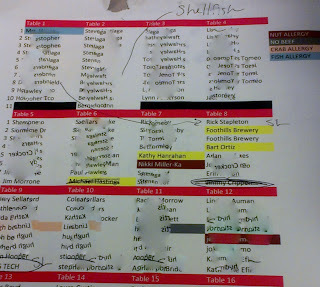 Competition Dining manager, Joel Sullivan, sorts out seating charts. It's worse than a wedding seating cart. Really. It is. Seating charts are a big deal. You can't have rival restaurants, breweries, distributors and the like sitting at the same table. That shows poor taste. 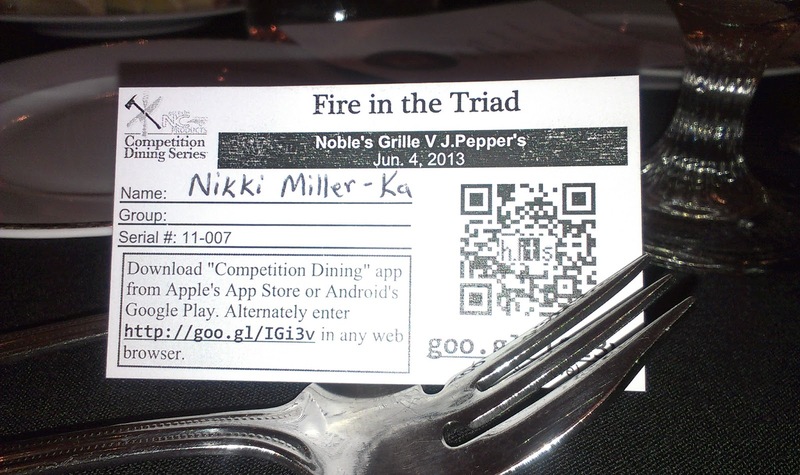 Okay, there are really no "rivals" in the food industry. Only... competitors. Competition Dining would look like this commercial without the carefully planned seating chart. Also, diners sometimes request to sit with their friends (or request to sit with me, which I have knowledge of until I am escorted to my seat; I welcome all requests) because only 10-11 people can fit around a table comfortably. Diners have allergies. Diners change reservations. It's a long, drawn out process. 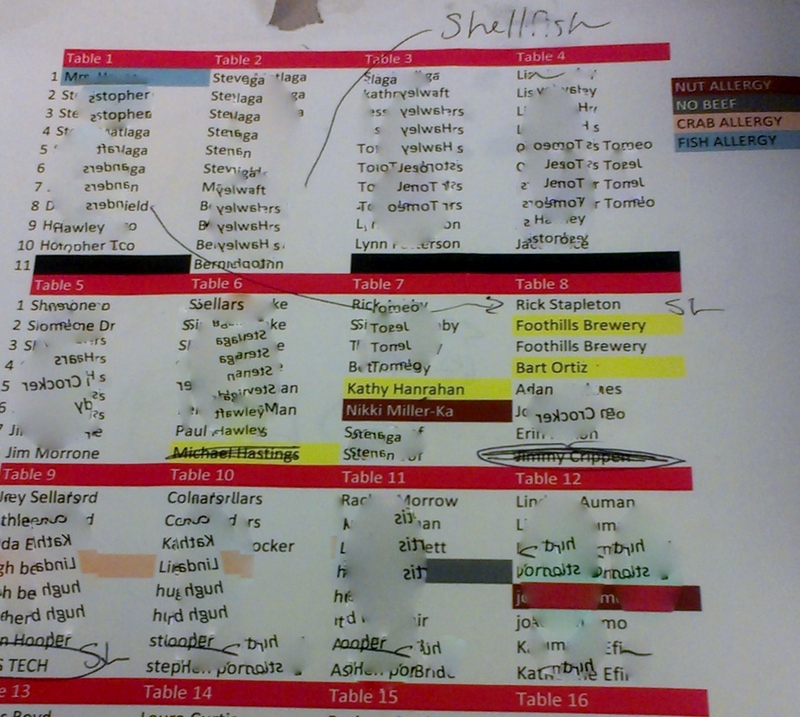 I appreciate Joel and all of his seating chart prowess. 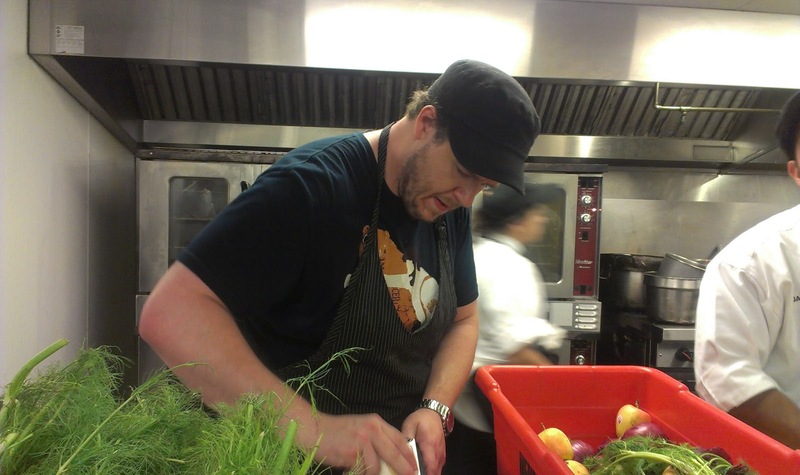 Back to the chefs: A day in the life of a chef is hard work. 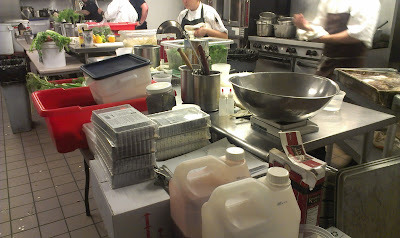 Both teams (6 people) work side-by-side in a small kitchen. A small, hot kitchen. A small, hot, unfamiliar kitchen. Tempers flare sometimes. But so do gas stoves, so it's okay. 40 lbs of shaved fennel, anyone? The rhythm of the kitchen is like the heartbeat of a living organism. Sometimes: Music is played. Sometimes: It's dead quiet and you can hear a pin bone drop. Sometimes: It's tense. All the time: It's hot, sweaty and loud. 3:30 PM: The menus have been turned in hours ago and the cooking is in full swing. 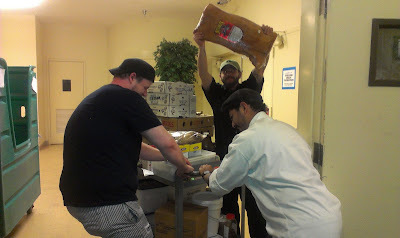 Teams are allowed to bring additional equipment to the kitchen. Chefs bring anything from Cambros to ramekins to sausage makers and thermal immersion circulators. 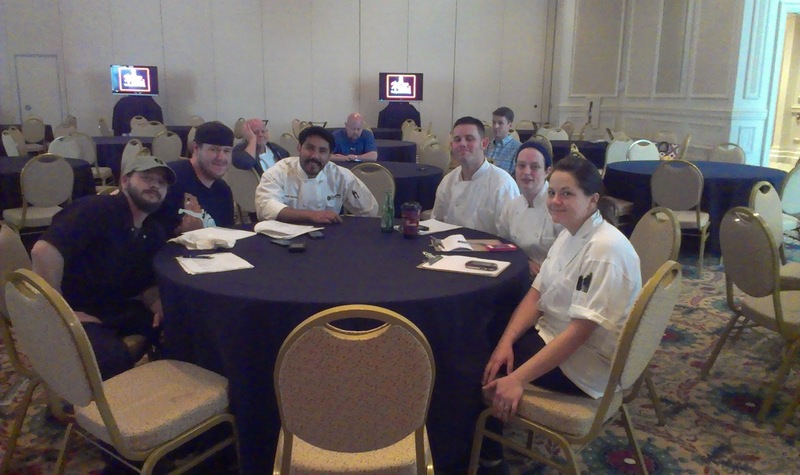 The chef from the opposite team has the right to veto the use of equipment, so each has a level playing field. 6:00 PM: It's crunch time. The small kitchen becomes smaller as the teams begin to finish up dishes and move a little quicker from the oven, stove and walk-in. 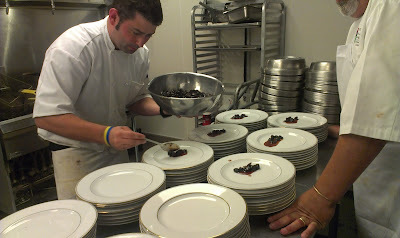 6:30 PM: The work tables are cleared and it's time for plating to begin. 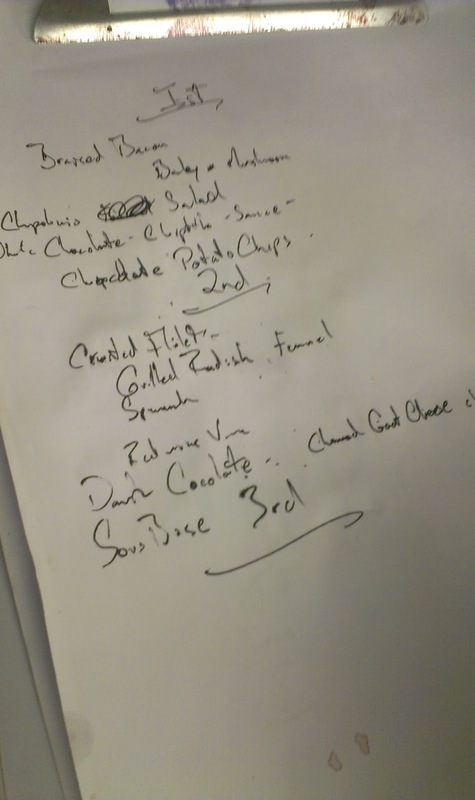 7:20 PM: The first dishes start to be plated. Now is the time to taste, watch, help, commend and command, like an orchestra conductor in a chef’s jacket. All attempts to keep the hot food hot and the cold food cold are taken. Each chef inspects the dishes as they leave the kitchen to make sure the portions are correct and the items well arranged. Hot boxes on wheels are plugged in and each plate is placed in it and wheeled down the hall to hungry diners. Sometimes the short ride jostles the plates and garnishes fall off, sauces run and there is a little lag time. Sometimes plates have to be returned because an allergic diner receives a plate of allergen-filled food. Usually the chefs are really great about that part, but when you're plating 120+ plates as fast as possible to ensure everything goes out in a timely manner, it's hard. 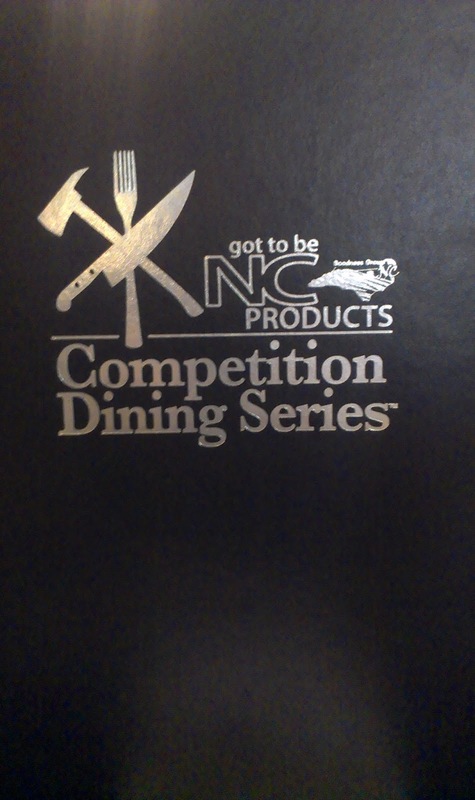 All in all, a LOT of work goes into each Competition Dining dinner. I only briefly touched on one part of a day's work. There is a lot of behind-behind-the-scenes action that goes on that deals with the technology that brings it all together and of course, the farmers, artisans and producers that make it possible for this symbiotic relationship to exist. ...because it's Got To Be NC!